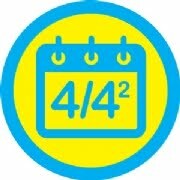 For those of you who are on Foursquare, Happy Foursquare Day! Or what's left of it, as we exit it, and others in different part of the world begin it. What is Foursquare day? Well.... those on iPhone, Blackberry, Android and such, probably know. And if you are on Twitter, you couldn't have missed it. Foursquare is an application where you 'check in' at your favourite places, get points for fun, and more importantly, get badges for various achievements. And if you check in the most at a location, you become Mayor! 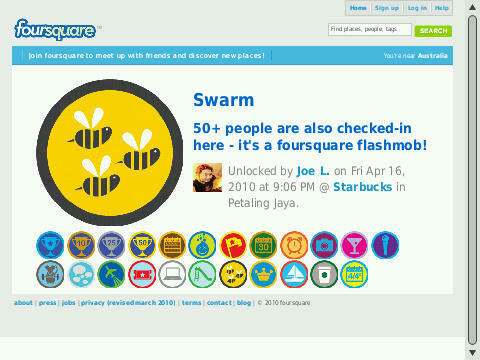 I nearly missed Foursquare Day - but thanks to Altimet who boasted of his new Swarm badge via Blackberry Messenger, and told me of a Foursquare Day gathering/party at Starbucks in Uptown Damansara. As I happened to be in Kota Damansara, leaving for Shah Alam, I swung by. Sempat la aku check in and get my Swarm badge. Sorry to everyone for not joining in, but it did look like everyone was having fun. Yang penting, I got my Swarm badge! 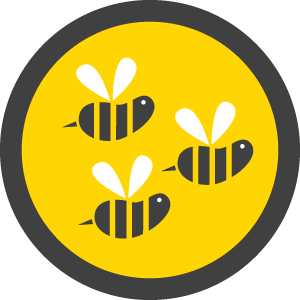 Swarm badge is basically for achieving a check-in together with 50 or more people. I heard the KL gathering went over a hundred. Not enough for a Super Swarm badge which is 250 people or more, but still impressive as it's not easy to get. I don't know if this is true, but among the hundreds of Foursquare Day parties - declared a 'social networking public holiday' - Kuala Lumpur had quite a very decent one (I heard we even beat Hong Kong's celebration). And this - is my Swarm badge! And this, is the Forusquare Day badge! Get it? Foursquare? 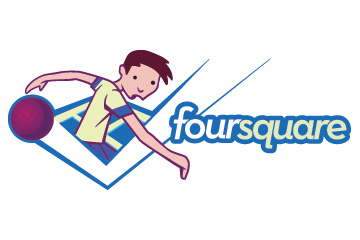 as in 4 squared equals 16, so 4/16 or April 16 = Foursquare Day! Yang pentingnya, this brings my number of badges to a total of 23!!! For those of you on Foursquare - check out my achievements. Makan hati tak? Come on, admit it! You're jealous! So if you have Foursquare, add me on 'Joe Lee' by searching or using my email klubbkidd@gmail.com and let's keep track of each other. For those of you NOT on Foursquare, where have you been? Apapon, check it out by CLICKING HERE and joining (you must be on a Smartphone listed). All you have to do is sign up for an account, download the application and get going! Ahh... pas dapat my badge, I headed to Shah Alam. Untuk majlis menyambut ulangtahun Datuk Siti Nurhaliza yang ke 15 dalam industri muzik, sekali pelancaran album 'Apresiasi' Saida dan Sairah. Blackberry aku da nazak, tak charge battery (simpan tuk check in Foursquare je) so pics tak banyak. Sempat snappy pics Jac yang perform. Vogue gila dia malam tadi. Tak sempat snappy pic Saida and Sairah, but hope you guys like this one (low lighting and flash lak takleh pakai sebab low batt) but manja tak? Amik ko. Tahniah to Datuk Siti Nurhaliza, and may you have more years in the music industry. No matter what anyone says, bukan senang nak tahan satu setengah dekad and still be going strong. Wth? aku xtau pon 16apr aritu..melepas aku swarm badge..n of course, I'm jealous!..